Since one of the famous stories of St. Francis tells how he tamed the wolf that was terrorizing the people of Gubbio, Wolf Paw Cookies make a fun treat for this feast day. Here are this year's cookies, made by our girls while I was running errands in town! The directions can be found over at Catholic Cuisine. The book we read this year, pictured above, is Saint Francis and the Wolf by Jane Langton. You can find lots of other options in our October Book Basket. 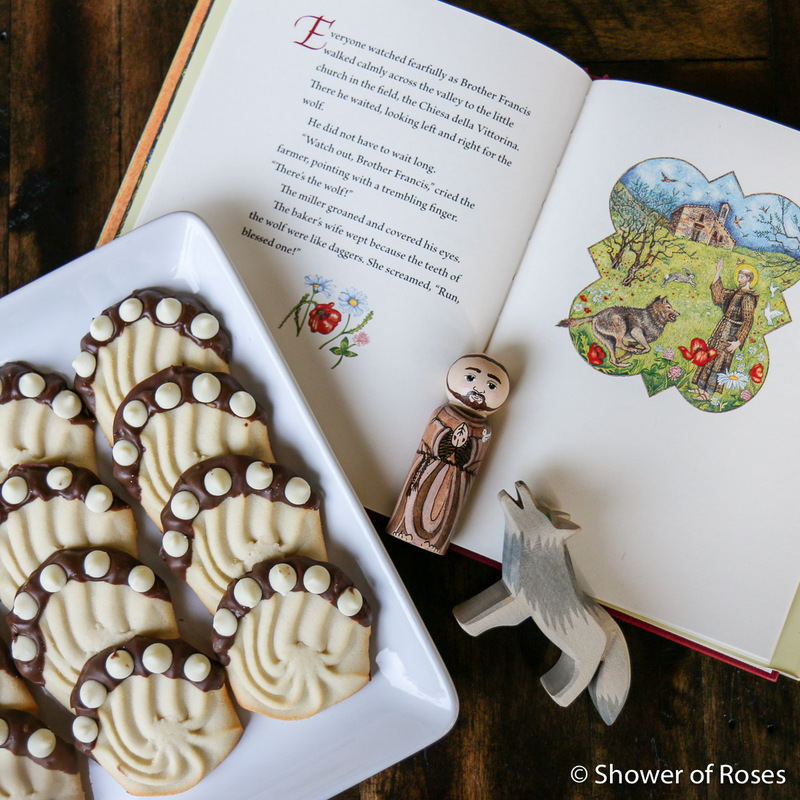 Scroll through the archives for more ideas for celebrating the feast of St. Francis of Assisi. 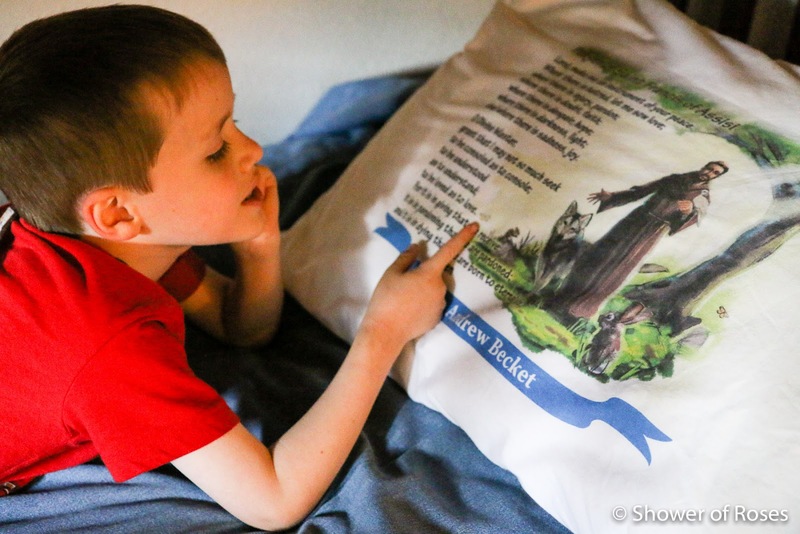 While I was taking pictures, our six year old insisted on sharing his favorite Saint Francis of Assisi Pillowcase from Prayer Pillowcases with you all too! St. Francis of Assisi, ora pro nobis!